While Avenegrs: Age of Ultron is a few months off, a lot of people are looking forward to Marvel's Phase Three opener Captain America: Civil War, which adapts the massive comics storyline that saw the U.S. government exert control over the superhero community, with Cap and Iron Man finding themselves on opposing sides of the issue. Not only will Chris Evan's be picking up the shield once again, Robert Downey Jr. is also making an appearance, which is said to send the Amoured Avenger's role in the Marvel Cinematic Universe in a surprising new direction, along with Chadwick Boseman making his first appearance as the Black Panther, and the MCU bow of the new Spider-Man. So, a pretty big deal, huh? But what can we expect from the second Captain America sequel, which promises to figure greatly into the MCU's post Infinity War future? Well, in an interview with Empire (taking place before the announcement of Spider-Man coming home to Marvel), RDJ dropped a few details, first off addressing peoples, not entirely unfounded, conception that Iron Man will be taking the spotlight away from the Star-Spangled Avenger, saying about Civil War, "Ultimately, it's Steve's story; it doesn't say 'Iron Man 4: Civil War'. I think that's great too." He also teased that the film will see Chris Evans delve a lot deeper in to the character of Steve Rogers, building on what he did in the Winter Soldier, saying, "I think Chris has been hungry to bring even more of an underside and some shadow to that. I remember the comics - on the surface you got the sense that Cap was baseball and apple pie, but underneath there was till churning stuff of being a man out of time. Now we know he's made his peace with that. What's the bigger issue? It can have a little something to do with the past, but it can be about someone becoming more modernised in their own conflict". 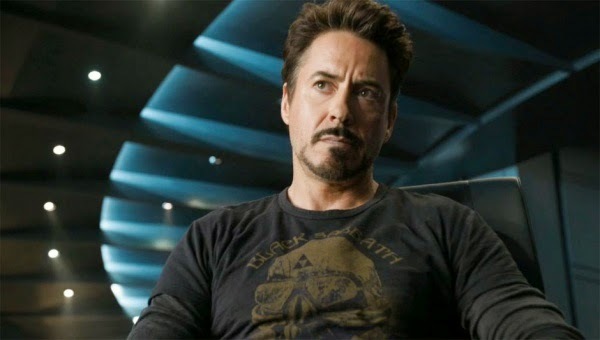 If you've read Civil War, or the years of stories that spun out of it, you will know that Tony Stark is painted somewhat as a bad guy, taking on numerous super heroes he once called friends, and when asked if Tony in the film will follow in the footsteps of his comic book counterpart, Downey Jr. replied, "I wouldn't put it that way". He went on to say that we'll see hints to Tony's role in Civil War peppered through Avengers: Age of Ultron, "The clues are in Ultron about where we might fin Stark nest, but what would it take for Tony to completely turn around everything he's stood for, quite-unquote, because he was the right-wing guy who could do his own thing. The idea of Tony being able to march if the sense if the political climate in the real world hadn't shifted the way it has. It's a little bit of things following a real world continuum in, 'what would you do?' You have to figure, ' Were you to ask the question, what would the American government do if this was real? Wouldn't it be interesting to see Tony doing something you wouldn't imagine?" Production begins on Captain America: Civil War in the coming months, with a release date set for 6th May 2016.